The 2016 Leadership Series is underway and excited about our upcoming in person event on June 23, 2016 in Willmar, MN. 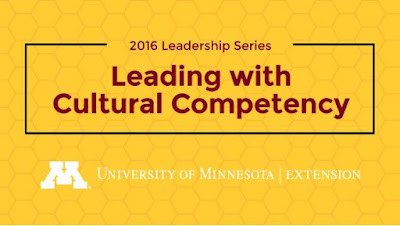 Leading with Cultural Competency will provide participants the opportunity to explore their skills in leading in diverse communities. Those who attend will take the Intercultural Development Inventory (IDI) prior to the session. The day of the session Extension Educators Catie Rasmussen and Toby Spanier will lead participants through understanding their personal profiles and creating a plan to enhance their skills along the intercultural development continuum. 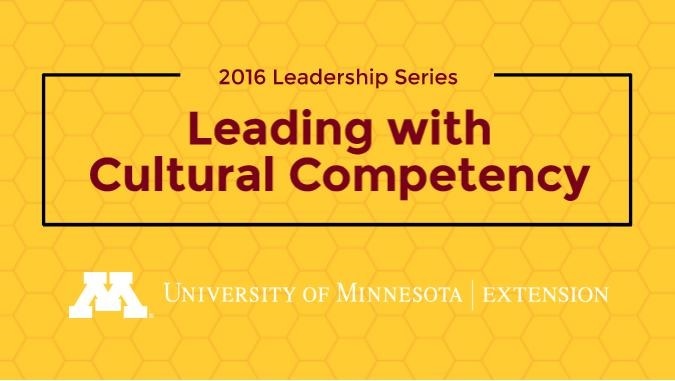 Register today at http://z.umn.edu/culturalcomp. Registration is $40 which includes the cost of the assessment, class materials, lunch and refreshments. Registration will close on June 1, 2016. Head over to the 2016 Leadership Series page to learn more about the great learning opportunities available!